The Brice W. Herndon and Sons Funeral Home has been in operation on the Bells Highway in Walterboro since 1972. The founder of the business, the late Brice W. Herndon, started in the funeral business in 1955 through a partnership formed with Mr. Leon Bearrow, operating as both an ambulance service and funeral home. The combination existed until 1971 when the Herndon family purchased the business from Mr. Bearrow and The Brice W. Herndon and Sons Funeral Home began. The business was run by Mr. Herndon and his wife, the late Katherine Harbeston Herndon, who managed the administrative business since its inception, along with their two sons, Donald A. Herndon and the late William B. “Buddy” Herndon. The loss of Katherine in 1991 and Buddy in 1999 left a painful gap in the tightly-knit family, but Herndon and his son, Donald carried on. In 2001, the family was devastated by the unexpected death of Mr. Herndon, but has continued to run the business just as he had taught them. Donald quoted, “Dad has instilled family values into all of us. 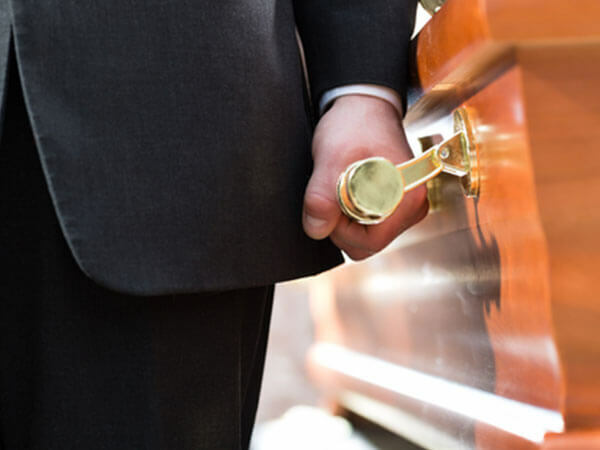 He has always taught us to put the wants and needs of the families who need us first.” Today, the business is owned and managed by Donald Herndon, a licensed funeral director and embalmer and his wife, Linda. Their children, Allison and Anthony, who are both licensed funeral directors and embalmers, are also in the business. The Walterboro Chapel has been expanded four times to include four viewing rooms and chapel that seats approximately 350 people. In April 2001, the hopes and dreams of adding a second chapel were fulfilled when they acquired land in the heart of Ehrhardt and established The Brice W. Herndon and Sons Funeral Home, Ehrhardt-Bamberg Chapel. Located in Bamberg County, the Ehrhardt-Bamberg Chapel is a full-service facility that has two viewing rooms and a chapel that seats approximately 175 people. In December 1977, the Herndon family established Glendale Memorial Cemetery, located on the Mount Carmel Road in Walterboro and in 1991 built a 240-crypt Chapel Mausoleum. Now as the third generation has joined the business, our hopes and goals of continuing to expand the business have been achieved by building a third location. In July 2005, the Herndon family purchased the Varnville Pavilion and Pool property from Mrs. Elizabeth Varn Woods. Mrs. Woods was married to the late Sidney Varn, who purchased the pool property in 1942 and continued to operate it until the mid 1990’s. The pool was first owned and operated by Miles Freeman, who opened it in 1926. The Varnville Pavilion and Pool is a place that holds countless memories for many people. For years, people from Hampton County and the surrounding areas came to the pavilion to listen to bands such as The Swinging Medallions and The Melody Makers play and dance the night away. Many came to the pool for swimming lessons or just to take a refreshing swim on a hot summer day. On December 10, 2005, over 200 people gathered on the property to bid farewell to the place that will forever be in our hearts. However, it was not only a day for good-bye, but also a day for welcoming the new. Mr. Herndon, his family, and staff, gathered on the property that day to introduce themselves to the community and hold the groundbreaking ceremony for the future Brice W. Herndon & Sons Funeral Home, Varnville-Hampton Chapel. The over 8,000 square foot, full service facility, has three viewing rooms and a chapel that seats approximately 200 people. Although the pavilion must have been demolished, a part of history will be preserved. A portion of the former dance floor will be placed in the center lobby of the new funeral home. The pool area will become The Sidney Varn Reflection Garden, in memory of its former owner. The funeral home opened its doors in the summer 2006.